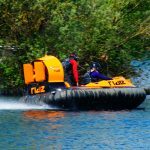 Experience the thrill of being a Hovercraft pilot, the exhilaration of riding a Jet Ski, the adrenaline of flying a Jetpack, the rush of Wakeboarding/Waterskiing or combine them all for a physically charged afternoon. Your safety is our main priority. 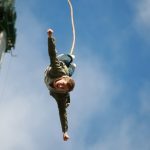 We provide all necessary safety equipment and training. 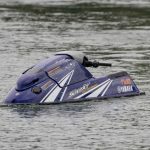 Be it wakeboarding, water skiing, hovercraft or 4x4 , our qualified instructors will ensure you get the most out of your experience, while at all times keeping you as safe as possible. All our equipment is regularly serviced and inspected daily. We work closely with the council and other approved bodies to keep health and safety standards as high as possible. 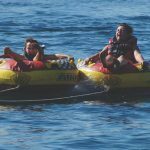 We have a fantastic range of activity gift vouchers for our experience days suitable for birthdays, Christmas, mother’s/father’s day and anniversaries. 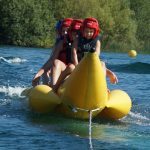 What better gift to give than an unforgettable activity day with Ride Leisure? Our Lakeside Kitchen & Bar provides incredible food, coffee, cakes and savouries. Its a great place to unwind for a day out or grab a quick bite while passing the outskirts of St Neots Bedfordshire, a stones throw from Cambridge. 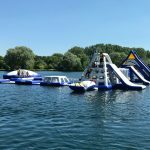 Ride Leisure Events Ltd started up as an inflatable hire company. Ride changes direction. Spotting a gap in the market, Ride decides to move into the Experience market. With most experiences, they are run as groups. At Ride, we decided to offer solo experiences whereby the instructor is one-on-one. 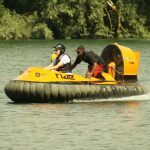 Hovercraft were chosen as our first activity, to make use of the large lake and land we had use of at the start. This experience remains our most popular experience to date! 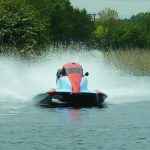 Ride finds a new home at Grendon Lakes, just near Wellingborough. With a large lake and 10 acres of land, we set about creating a perfect playground for all the new toys and events! This allows us to add several more experiences to our line up - including the UK's first Zego Experience. We also start selling vouchers through retail partners including Virgin, Into The Blue, Activity Superstore and Extreme Element. Started selling through other retailers. 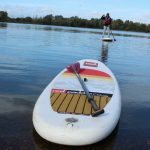 With the opportunity of a further lake at Grendon, we opened Ride Wakeboard and Waterski. 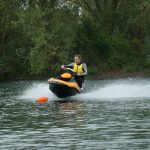 A trip to the London Boat show saw us acquire a new specialist Wakeboard boat, and the club was born. With multiple events and activities on site, we decided to open up Ride Corporate, and offer multi-experience days and corporate events and team building - with Red Bull Racing an early client. 2014 saw us move site to Wyboston Lakes, just off A1 near St. Neots. 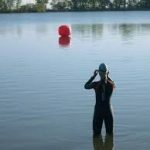 This purpose built watersports centre was just too good to turn down, and so we moved our entire operation. If you pay us a visit you'll see why! 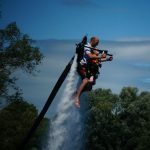 We added further activities and experiences including Quad Bikes, Jet Bikes and Open Water Swimming. 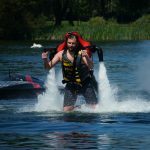 We also partnered up with Jet Lev UK, to offer the latest Jet Pack experiences to our customers.